Take yourself higher with a dependable home vertical platform lift from Bruno. 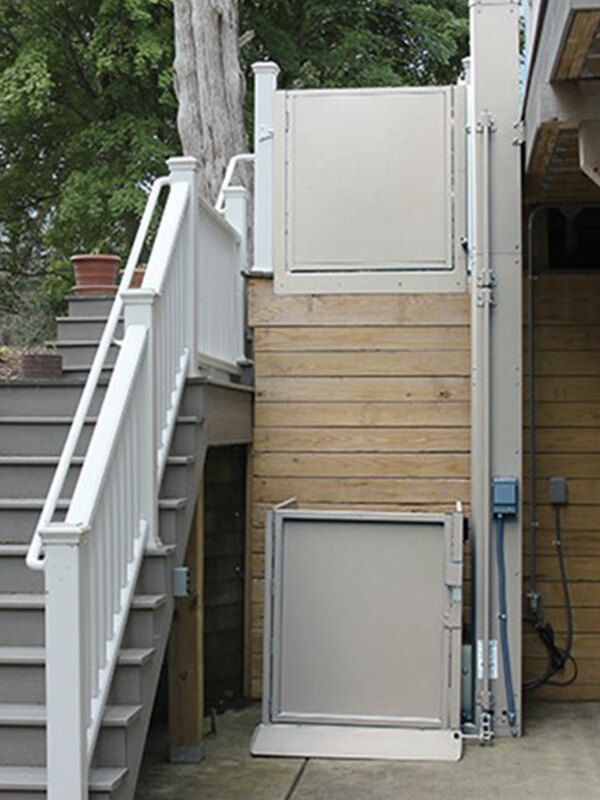 Gain access to your porch, deck, or multiple levels of your home without sacrificing space. Bruno vertical platform lifts are compact in size, but can access up to 14 feet. Made in the USA and known for their safety, reliability, and high performance, Bruno lifts provide peace of mind along with a smooth, quiet ride. Simply roll onto the platform with your wheelchair, power chair or scooter, and access your home with the push of a button.